You might think that with the plethora of digital art apps out there, practically any of them are capable of handling any art project you throw at it. You might think that. Of course, you’d be wrong. Like tools on a craftsman’s belt, specialized apps are the way to go for some of the more hyper specific projects you’re considering. And if digital painting is your jam, the latest iteration of the popular Corel Painter series, Corel Painter 2019, is a solid choice. 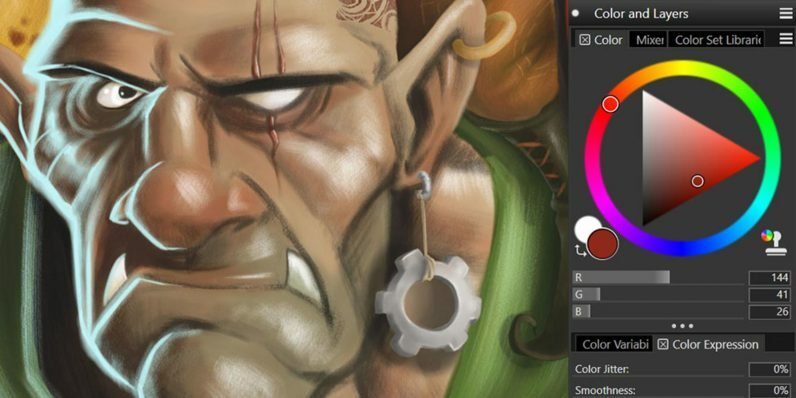 Right now, you can pick up the newest version of Painter at more than 40 percent off, just $249 from TNW Deals. Rather than just slapping a fresh coat of paint on the warhorse app, Corel completely reworked Painter’s user interface. With a sleek new look, a palette of new brushes and performance improvements (auto-painting, in-app learning, enhanced support for faster computers with multi-core processors and CPUs), it’s major game changer. In addition to all the fresh brush tricks and the adaptability of importing all manner of images, textures and patterns into your work as clone sources, Painter also sports a new “pinned” Temporal Color Wheel. Now, you can “pin” the wheel anywhere in your document to keep it close as an integral guide when painting each area of your work. If you ever wanted to take up digital painting or thought you might transition your real artistic skills to the computer screen, Corel Painter 2019 is a smart starting point. Regularly $429, this TNW Deals special price slashes almost $200 off, down to only $249 for a limited time.